Wood subsidiary Terra Nova Technologies (TNT) has more than 20 years at the leading edge of mining equipment. For most of us portable means something you can put in your pocket or carry around easily. In mining our Super Portable® concept refers to an 80 metre long modular conveyor unit that can move up to 10,000 tons of material per hour. Extracting the various precious metals to make today’s products involves processing large quantities of material to separate the commercial substances. Crushed ore is piled onto large pads that are sprayed with chemicals. The chemicals help break down and separate the precious metals from the waste material. The process, known as heap leach stacking, requires a big operational area and depends on large volumes of material to extract the metals in useful quantities. Early heap leach systems used portable conveyors or ‘grasshoppers’ progressively linked together and feeding a mobile radial stacker to build the pad from a fixed conveyor running alongside. Equipment was repurposed from the aggregate industry, but could not handle heavy-duty mining, running 24/7. Our early success came from offering more robust and reliable mining equipment. Copper followed the trend in gold mining of using heap leaching techniques, allowing operators to develop mines to quickly process low-grade oxide ores for less capital investment. Copper mines were more numerous, but required higher tonnage rates to be feasible. In a heap leach pad, ore is stacked in strips or ‘cells’ determined by the reach of the radial stacker and the number of portable conveyors extending from the overland conveyor to the far edge of the pad. As tonnage rates rose, the speed at which the equipment had to move and the rate at which new portable conveyors had to be removed from the main chain of conveyors on the pad increased. To solve this problem, we developed new longer conveyors. The radial stacker grew in length from 36-40 metres to 64-70 metres. Portable conveyors grew from 38 metres to 76 metres, too big to be easily moved. The new designs had to be self-propelled and independently manoeuvrable so we developed and patented the Super Portable conveyor and stacking systems. The backbone of a Super Portable conveyor is its heavyduty truss structure, optimised for high structural weight efficiency. The ends of the central truss are mounted on crawler vehicles driven by electric motors / onboard diesel generators. With this system, Super Portable conveyors can climb and operate up to 10 degree grades. The Super Portable concept created new potential for heap leaching. The 5,000 ton per hour barrier was broken with the first full system supplied to a large copper mine in Arizona running at up to 6,600 tons per hour. The Super Portable concept created new potential for heap leaching. The 5,000 ton per hour barrier was broken with the first full system supplied to a large copper mine in Arizona running at up to 6,600 tons per hour. A system was installed in Chile and raised the bar again increasing the tonnage another 35%. With all 23 conveyors in operation, this system can stretch up to 1.8 kilometres across the pad and stack more than 130,000 tons per day. We see potential for other applications beyond heap leaching. The units can be used for dry stack tailings, an emerging trend for reducing water use in mining. Dry stack tailings systems dewater the waste stream; the tailings are then conveyed and stacked rather than being pumping into a tailings pond. This method of depositing tailings mitigates the risk of dam failures. We installed the largest dry stack tailings system to date in Saudi Arabia, which has been operating successfully since 2011. It is also possible to integrate overland conveyors and Super Portable conveyors to transport and stack waste rock or mix waste rock and filtered tailings to be deposited together, saving precious water, removing the risk of retaining dams and stabilising the waste/tailings pad. Major operators in copper, gold and oilsands are all looking at these concepts. We are working with other equipment manufacturers and operators to use Super Portable conveyors with in-pit crushing and conveying (IPCC) systems. When faced with ever decreasing grades and higher strip ratios in hard rock mines, IPCC systems can use the highly mobile Super Portable conveyors to directly link a shovel and mobile crusher to high capacity overland conveyors extending out of the mine to reduce haulage costs. Focusing the mine layout around conveyors instead of trucks is critical for effective IPCC solutions. IPCC systems are made to fit into existing mine plans, and lack the flexibility to adapt as the mine changes. The Super Portable conveyor, combining high mobility with high tonnage overland conveyors may be the next step in the evolution. 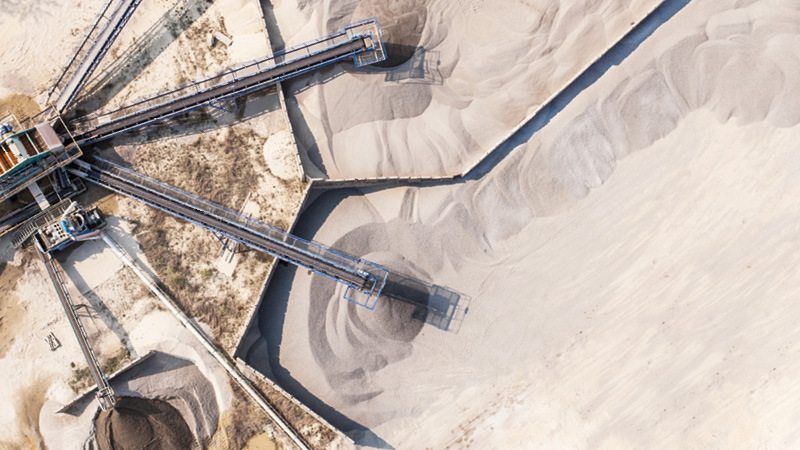 We are developing systems for tonnages over 200% of today’s typical production rates for open pit conveyors, using new ‘megawatt’ class conveyor drive technologies. If you’re interested in improving production in a way that’s flexible and easily controlled, get in touch: ron.kelly@tntinc.com.